Packaged in two tubes. One contains liquid steel/epoxy resin, and the other contains hardener. When mixed together in 2:1 portions, a chemical reaction occurs that turns the mixture into a compound as hard and tough as steel and with similar properties. Clean surface to be bonded. Squeeze out 2:1 portions of part A and B. Mix thoroughly. Apply it. It stays apliable for about 1 minutes after mixing, sets in just 4 minutes, and cures fully in 5 hours. It's water-proof, petroleum, chemical-, and acid-resistant; resists shock, vibration, and extreme temperature fluctuation. just about any porous and non-porous material. Specially Designed use in sealing or bonding subjects underwater or in constantly wet surfaces. Ideal in sealing leaking in concrete / steel water tanks, leaking pipes, leaking fish tank. 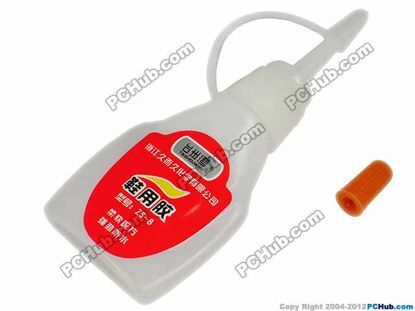 Gift Tool Adhesive General Purpose, Nianba. 10g. Squeeze out and apply directly to the prepared surface it. 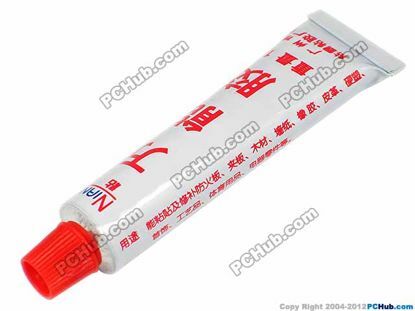 It cure in 4 to 10 seconds, 10 minutes to achieve the best bonding result. 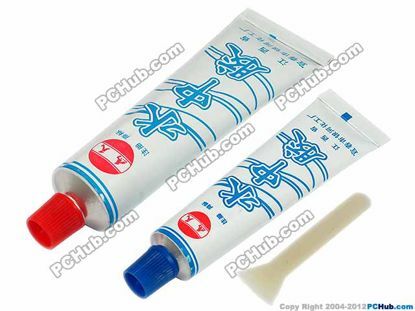 This product is silicone adhesive sealant, solvent, no corrosion, no pollution, exposure to moisture cure at room temperature, the use of safe and convenient. With excellent moisture resistance, aging resistance and electrical insulation properties, temperature range -60 ℃ ∽ +250 ℃. For electric heaters, temperature instrumentation, rice cookers, electric irons and other anti-oil spills, leaking adhesive seal. Also used in neon lights, energy saving lamps, television sets ignition coil for moisture sealing, anti-sparking and arcing and so on. Do general cleaning surface treatment, adhesive bonding, can be cured at room temperature. Place the longer the better adhesion.